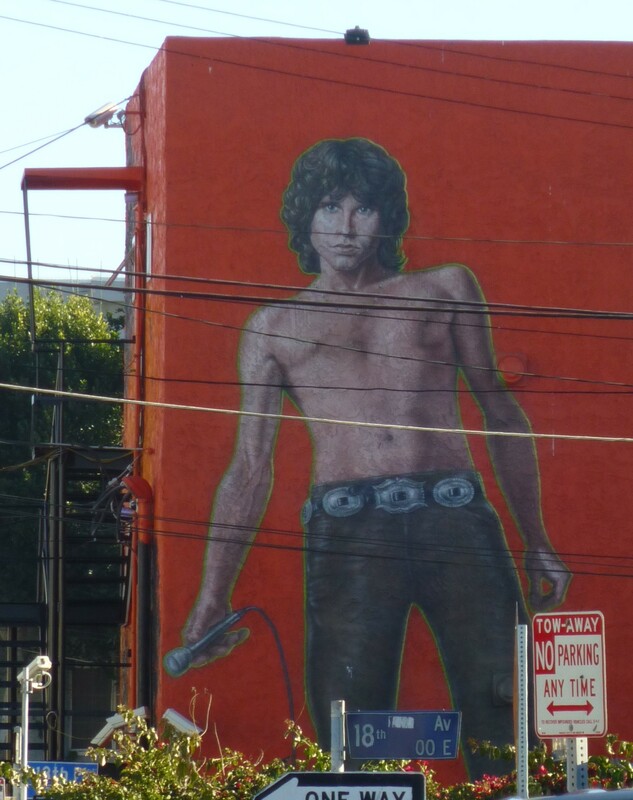 Painted by muralist Rip Cronk, this likeness of a microphone-holding, shirtless Jim Morrison can be seen on the side of a three-story building located at 1811 Speedway and 18th Place in Venice Beach, CA. Originally painted in 1991, Cronk touched up the painting in the Summer of 2012, creating a vibrant orange background over what had previously been both a darker blue color, and the building’s natural white brick. The mural is a must-see for Doors fans if you happen to be in the area.